What is it about lighthouses that stirs the heart and sparks the imagination? Built for strength and permanence, they are nonetheless always vulnerable. We look to them for guidance and reassurance yet never quite lose the feeling of being watched when near them. Their keepers work tirelessly to serve humanity, protecting many hundreds of lives each year; yet they themselves are isolated from other people. And of course, we are ever aware that these often remote outposts can be unforgiving of human frailties, so inevitably they become the setting for tragedy—and consequently—for spirits that linger at the site of their ruined hopes, their sufferings, and their obsessions. In Lighthouse Hauntings a dozen contemporary authors spin an intriguing mix of supernatural tales around this evocative theme. 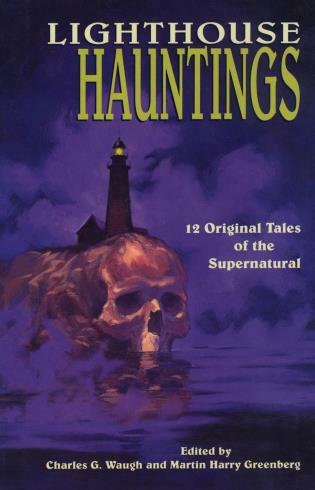 Some of these never before published stories are just plain creepy, others are mystifying or metaphysical; even heartwarming, but all are vividly memorable.